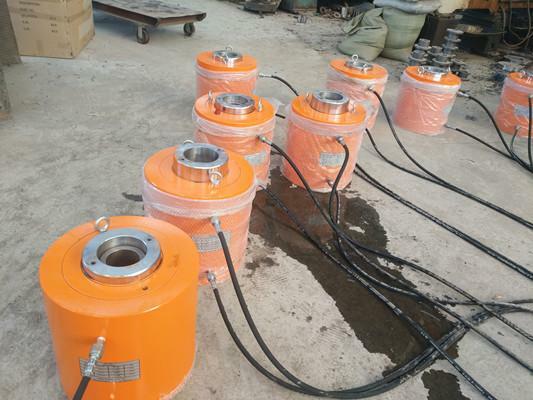 From the appearance we can see that the entire hydraulic cylinder is bright, brightly colored, and the welding port is slippery, which is not an industrial tool but includes the appearance of craftsmanship and human wisdom. Bad cylinder has a pungent smell, the surface is very rough, feel bad. Good hydraulic cylinder, whether it is double-acting hydraulic cylinder or single-acting hydraulic cylinder, must use high-quality materials. Our hydraulic cylinders are made of 45 # forged steel or straight-line process. The piston is welded with copper and the piston rod is made of chrome plate. Its purpose is to reduce the friction between the cylinder and the piston. But the bad hydraulic cylinders use commentary steel. Simple welding and grinding work needs to be done as soon as possible, not only in lighter weight, but also in a more discounted quality, seriously affecting their service life and safety. A factory of a certain size absorbs many talents, takes the customer as the center, solves many practical problems for clients, and provides a set of professional knowledge of tools. A good brand is the business leader from business ability and innovation ability, but also the cultural construction and goal orientation of the whole company. Only a good reputation to win the trust of customers. The medium-priced but cost-effective hydraulic cylinder is what people want, but some suppliers sell it on the market at a very low price, and finally hurt the customer. The right price depends on the quality of the hydraulic cylinder. Our hydraulic cylinder price is medium, good quality.